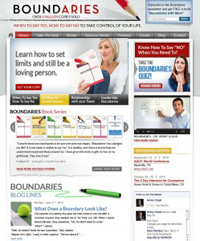 Boundaries is a well-known book co-authored in 1992 by Dr. Henry Cloud and Dr. John Townsend, which has sold over 3 million copies and landed on several regional bestseller lists. However, the book had not yet made the New York Times bestseller list and recent sales had stagnated. Sealy Yates, the book’s literary agent, and Zondervan Publishers (a division of HarperCollins) asked Rob Eagar of WildFire Marketing to revitalize interest in Boundaries, build a larger audience, and help boost book sales. 1. Built a new website at BoundariesBooks.com, which attracted over 20,000 visits per month and over 50,000 new visitors via Google search traffic. 2. Curated content from the Boundaries manuscripts to develop a weekly email newsletter that garnered over 50,000 subscribers with a 30% open rate – double the industry average. 3. Developed new partnerships with various departments of the publishing house to gain added marketing exposure on company websites, banner ads, newsletters, and social media pages. 4. 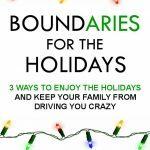 Created unique free resources, including the Boundaries for the Holidays and the Boundaries Kickstart Guide, which have been downloaded by over 10,000 people and helped influence book sales. 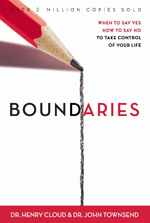 Boundaries made the 2015 New York Times Religion, Spirituality, and Faith bestseller list for 8 consecutive months (February – September) reaching as high as #5. Boundaries returned to the 2016 New York Times Religion, Spirituality, and Faith bestseller list for 6 consecutive months (April – September) reaching as high as #2. 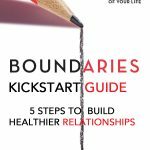 Boundaries made the ECPA Top 25 Bestselling Books of 2015 and 2016. This case study is just one example of how Rob Eagar helps authors and publishers sell books like wildfire. To request Rob’s assistance with your manuscript or book campaign, contact him today.